Poaching pork might sound a little odd. Why poach? Why not just roast it? I love the idea of injecting flavor into my meat and I found this recipe to be an easy way to do this. You don't need an oven to make it. 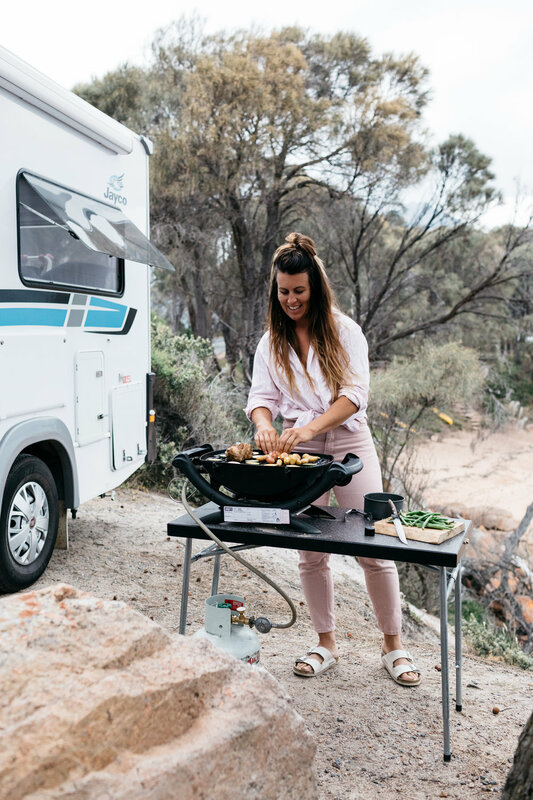 You can do it before you set out on your daily adventure or just simply let it cook while you read a book in the comfort of your RV!